The countdown is on. It is holiday season. We officially have 20 days remaining in November. That is plenty of time for you to create a Christmas advent for your little ones (or even for your significant other!) to enjoy throughout December. I built my first Christmas advent two years ago and thankfully was/will be able to reuse it because I laminated the numbers. I highly recommend doing that if you can. It's extra work but definitely worth the time and effort. When I first built the advent two years ago, I wasn't sure what to put in it so I went way overboard. The second year I was able to better narrow down the gifts and I also determined that it would be better to also educate the recipients on the real meaning of Christmas by alternating in almost every other day with a good deed to perform for others, as well as placing Bible scriptures into each day for them to read. I'd advise to aim for smaller gifts so it doesn't turn in to an expensive project that doubles your Christmas budget, or if the recipients are not your children then you can make the gifts included in the advent their actual Christmas gifts to be received throughout the month. That is what I did the 2nd year. There were gifts or items to make the good deed assignments (like cookie mix, and Christmas baking gift boxes) that were too big to put into the advent so I included a card in the advent to tell them where to find their gift and had the gifts numbered under the tree awaiting the day to be opened. 2014's Christmas Advent Calendar. This is the only 2014 picture I can find but lucky you - you get to see my usual Christmas tree! There's a lot more you can look up to find ideas on activities to do or acts of kindness to perform. I like to mix it up so just about every other day they received a small gift. Also, do not forget to add in plenty of candy canes all throughout the advent! 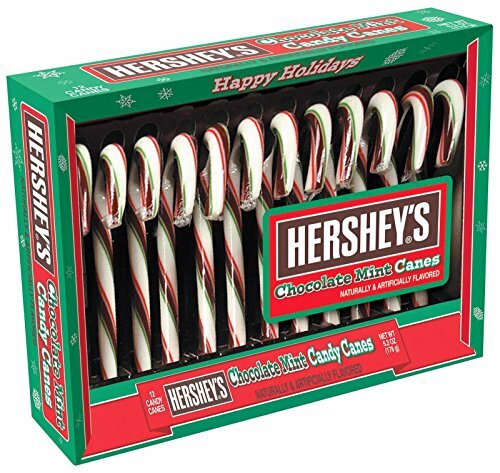 The favorite that my former recipients liked were the Hershey's chocolate mint flavored candy canes and hot cocoa flavored candy canes (though I added in traditional and War Head sour candy canes as well). The wrapped gifts (bottom left) went under the tree with assigned numbers they only found inside of the card I put in that advent's pocket so that they couldn't tell which gift they would open until they read the card. You have to be tricky! And...that is it! Sit back and enjoy the excitement of your young ones anxiously waiting to open their next advent each day. I think the display itself is festive AND adds serious intrigue to their minds to wonder what treat is coming next.